MROC Training may collect information, such as your e-mail address, name and phone number. Information about your computer hardware and software also may be automatically collected. This information can include your IP address, browser type, domain names, access times and referring website addresses. 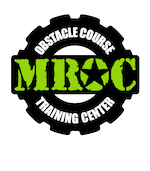 This information is used by MROC Training for the operation of the service, to maintain quality of the service, and to provide general statistics regarding use of our website. MROC Training welcomes your comments. If you would like to stop receiving messages from us, please contact us at INFO@MROCTRAINING.COM. Heather Hopper is coming fresh off the heels of Spartan victory! Last weekend she ran a burpee free race and snagged a 2nd place podium spot in her age group!! AROO! But, it wasn't always this way.. A few years ago, Heather fell in love with the sport of OCR, but she would run the race, get to an obstacle that required upper body strength, and skip it without even trying. Shoulder, wrist, and foot injuries left her thinking it wasn't possible, so why even try? Finally, one of her good friends and fellow MROC Athlete Lisa Brink, convinced her to come check us out, and showed her that the need for proper technique outweighed the need for strength. Then, Boom! It CLICKED! From that moment on, Heather has been a huge part of this community. She ensures that each new member of the club feels as welcomed and at home as she did when she first joined. Boring routines at big box gyms led to John Tatlock yearning for something more. One of John's friend mentioned Spartan Racing, and BOOM! The lights went on. John was excited about training for once, but running a Spartan Race still seemed like a dream. He needed to find a place that trains people for this new endeavor. 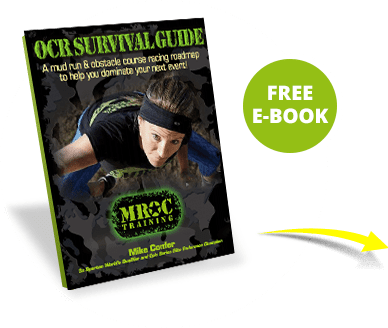 Enter MROC Training. Fast forward to now, John is one Spartan Race away from completing his first Tri-fecta with many more races planned for the future. Meet Isabella, the trail running Deload Queen that didn’t let a broken back get into the way of finding something new to conquer like Trail Running. That’s right, just about every weekend you can find this “OG MROC’er” out on the trails. First it was Trail Running, next it was running Ultra Races, throw in a couple of Spartan Races injury free and here we are today. After establishing a foundation in the sport, Izzy honed in on skills like balance, to take her adventures to the next level. “Izzy-B” is known to brighten up the gym floor with quirky remarks, as well as leaving you in the dust on the trails.